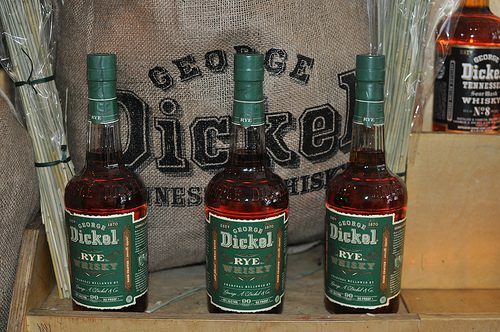 The Rye Whisky was showcased alongside the classic whiskys, which are based on a formula using 84% corn, 8% rye and 8% malted rye. 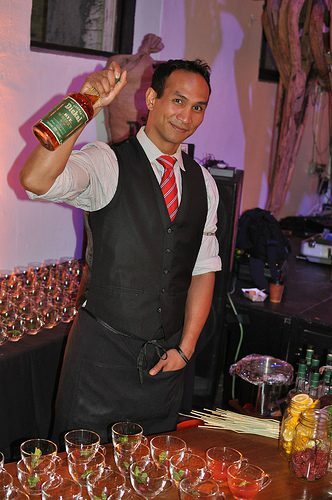 The primary difference in the whiskys is the amount of aging: No. 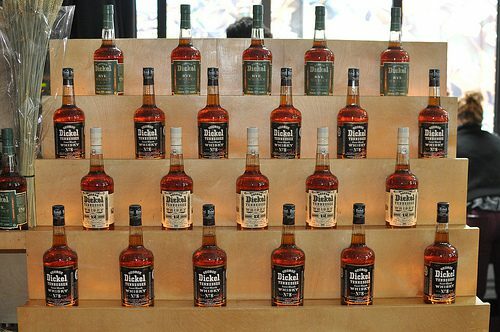 8 is aged 6-7 years, No. 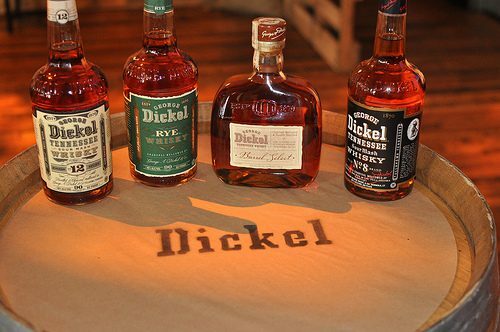 12 is aged 7-9 years and the Barrel Select is made from a combination of the two and aged for 10-12 years. 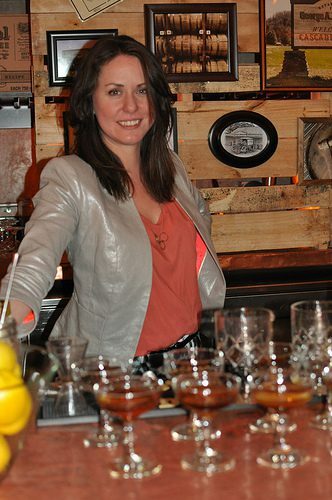 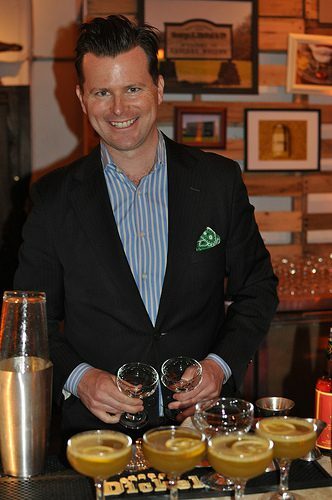 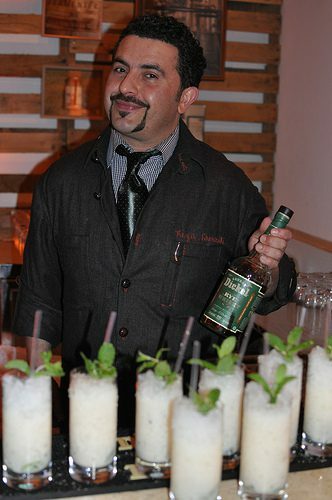 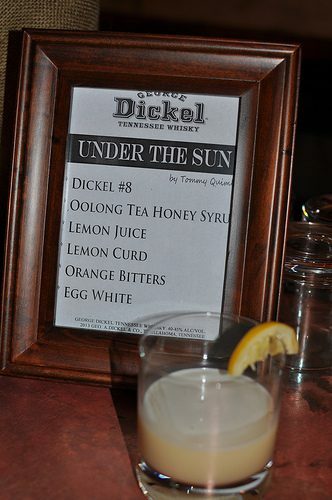 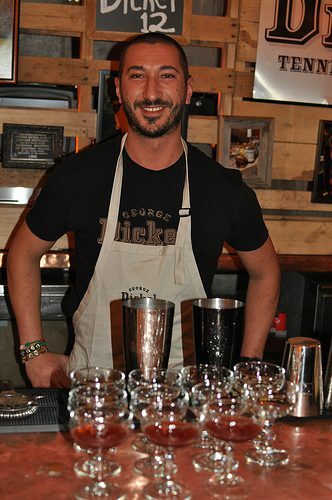 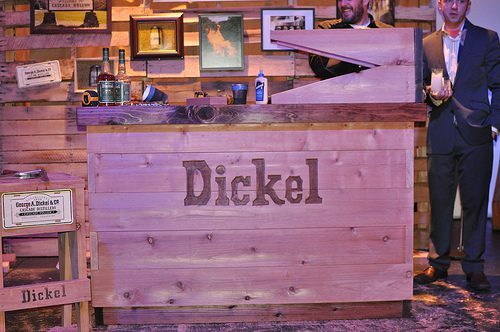 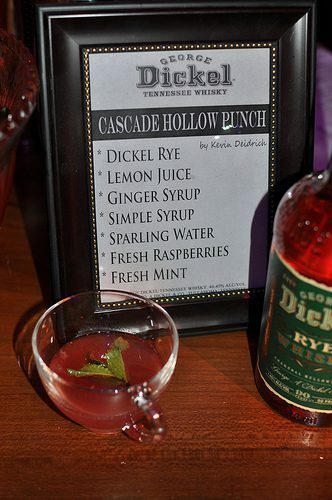 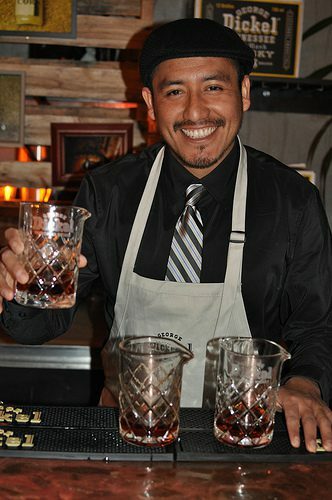 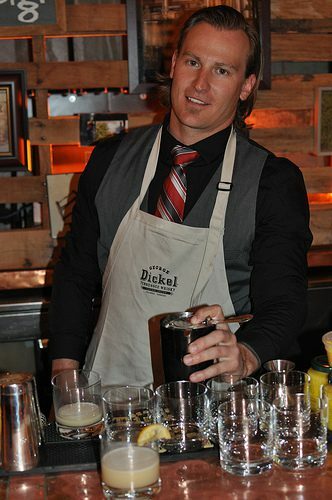 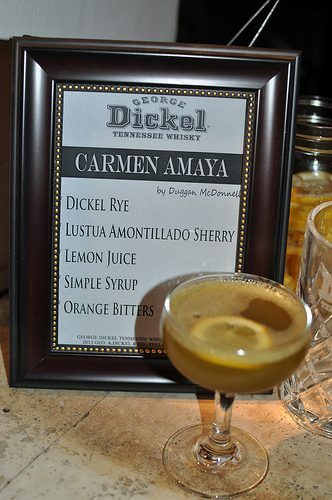 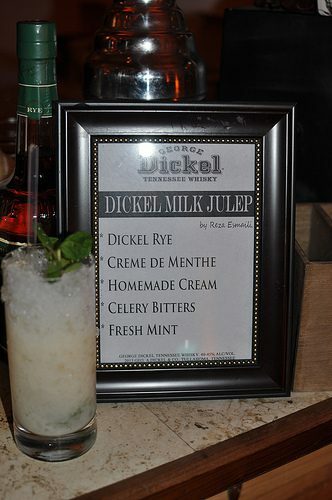 To showcase the George Dickel line-up, some of San Francisco’s best bartenders created cocktails with Dickel No. 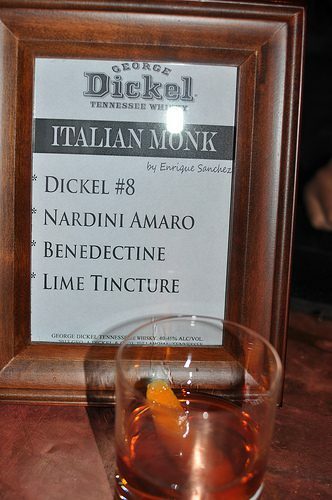 8, Dickel No. 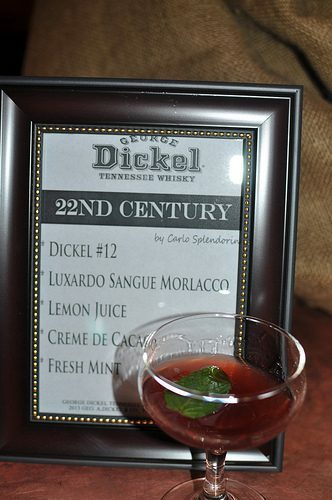 12 and the new Dickel Rye. 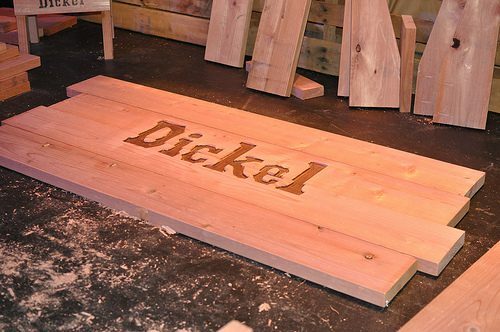 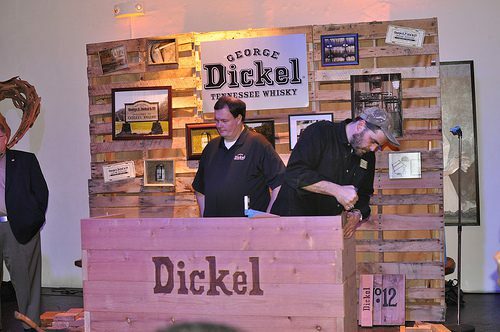 Another way George Dickel is raising the bar is quite literally. 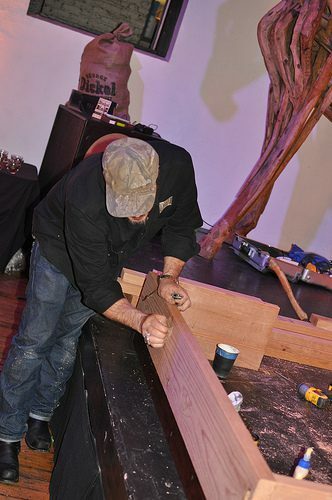 While the great cocktails were being enjoyed, handyman/artist extraordinaire Jimmy DiResta was literally “raising the bar” by building a bar from scratch during the event. 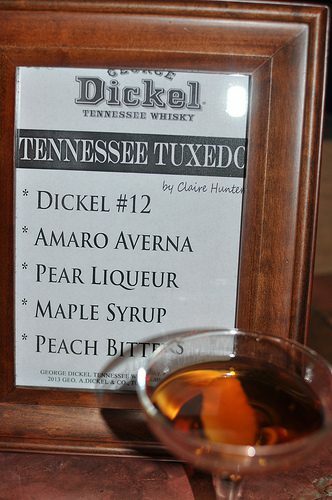 This entry was posted in Cocktails and tagged 22nd Century, Carlo Splendorini, Carmen Amaya, Cascade Hollow Punch, Claire Hunter, Dickel, Dickel Milk Julep, Duggan McDonnell, Enrique Sanchez, George Dickel, George Dickel Barrel Select, George Dickel No 12, George Dickel No 8, George Dickel Rye Whisky, Italian Monk, Jimmy DiResta, Kevin Deidrich, Master Distiller John Lunn, Reza Esmaili, Tennessee Tuxedo, Tommy Quimby, Under the Sun by Allison Levine.